I’ve spent the last year accumulating and assembling program advise and deployment designs for secondary schools into a new book. I’ve gathered these words of wisdom, (nearly twenty years’ worth in the digital learning front) from working with hundreds of schools and thousands of classroom teachers in Nevada’s Clark County School District, the fifth largest in the nation. 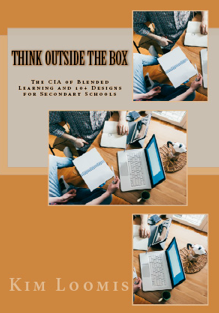 Below are a few excerpts from my new book titled: Think Outside the Box: The CIA of Blended Learning and 10+ Designs for Secondary Schools. Having access to digital content creates scenarios that you may have not even considered. Thinking outside the box allows us to see beyond the most obvious. Thinking outside the box opens doors to new prospects. Thinking outside the box forces us to be innovative. That is why this book is titled think outside the box. Boxes come in all sizes; from the student information system in your district, to the four walls of a classroom, or even the socio-economic classification one was raised in. It’s a reminder to all of us that boxes do not define our limitations. I believe the power of technology lies in digital curriculum. It has the potential to open the doors to a brighter future, help fill gaps, and provide more time for deeper learning. It puts the student in the driver’s seat, one that is personalized for their individual needs by allowing them to rewind, replay, and own their learning. Teachers are afforded more time to differentiate with immediate data to rectify and stretch student learning in the moment. Yet, the question lies in how do we prepare staff for the change in pedagogy. Blended learning requires teachers to share the stage with digital courseware and empowers students to take ownership in their own learning. In this section we tackle this change process, the CIA of blended learning, and teacher mindsets. All too often schools are so busy seeking solutions to problems, like credit recovery, they don’t see the forest among the trees. We get into the mode of problem – solution, fixed it, move on. When the next problem arises, we go seeking another solution. It becomes a one-to-one problem-solution narrow focus. Rather than looking from a one-to-one relationship, consider the options that a digital learning solution can offer. Think beyond the single problem at hand, consider the many opportunities or hurdles that can be tackled with digital content. 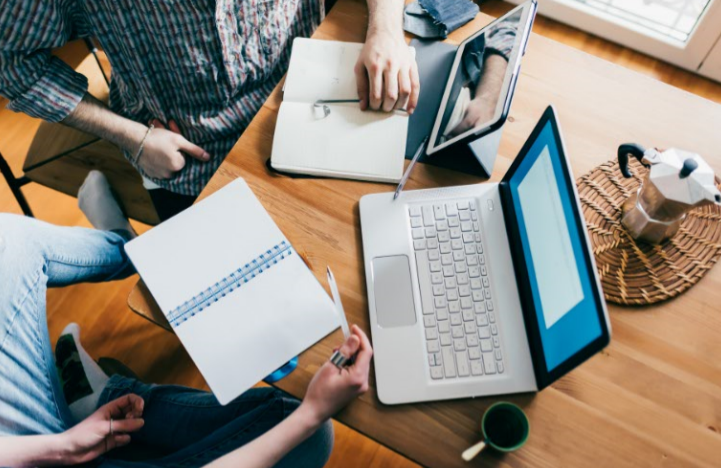 These ten design deployments demonstrate how to reach more students with a single courseware product. Innovative designs in the final chapters will get you thinking about novel and pioneering options. I always caution schools to “go slow, to go fast.” Make sure you lay down a solid foundation, using the seven steps to success, then find something small, that can be fine-tuned before pushing full steam ahead. Knowing where and what you want to do, before turning onto a speeding highway is always best. Casting a vision and having a one-, three-, and five-year plan will keep you from biting off more than you can chew. Teacher mindset will be key to any program deployment. Helping staff embrace the CIA of blended learning will ensure that students are not left alone to learn in isolation. I’ve had the great fortune to work in a very large school district, allowing me to see a multitude of deployments, working with numerous schools to design and deploy digital learning environments. This book is filled with their stories. It has been my pleasure to compile and catalog them here for others to ponder and consider. Thanks to all the administrators and teachers for asking the tough questions. For making me think outside the box.